Here's what you need to know about this coastal classic spa and hotel destination. Muddy's ed-in-chief checks into one their amaaaaazing treehouses. 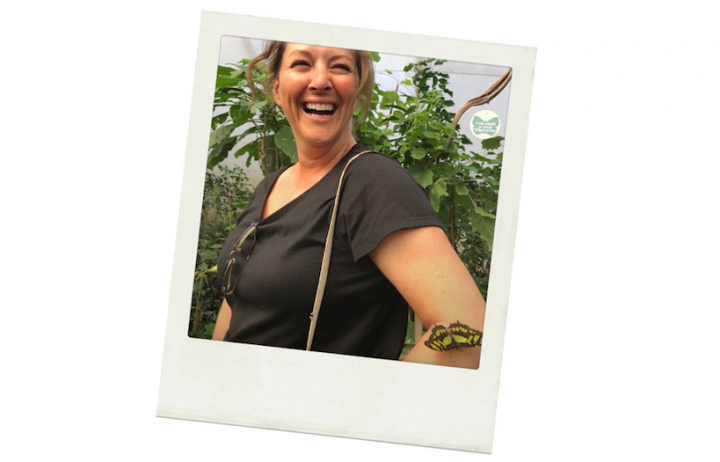 Shall we count the ways we love you Chewton Glen? No, we’ll be here for days. 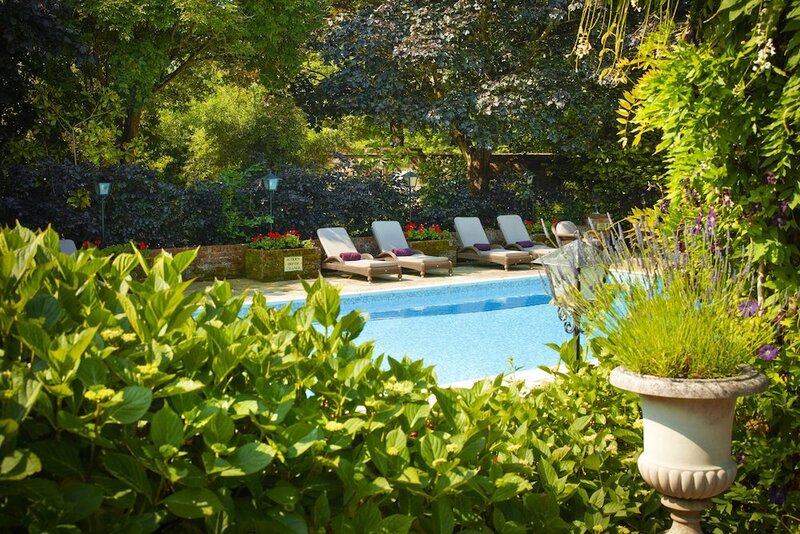 This early Eighteenth century Hampshire country house hotel and spa has long been the go-to destination for the well-heeled brigade who love its five star service and serious pamperage creds. 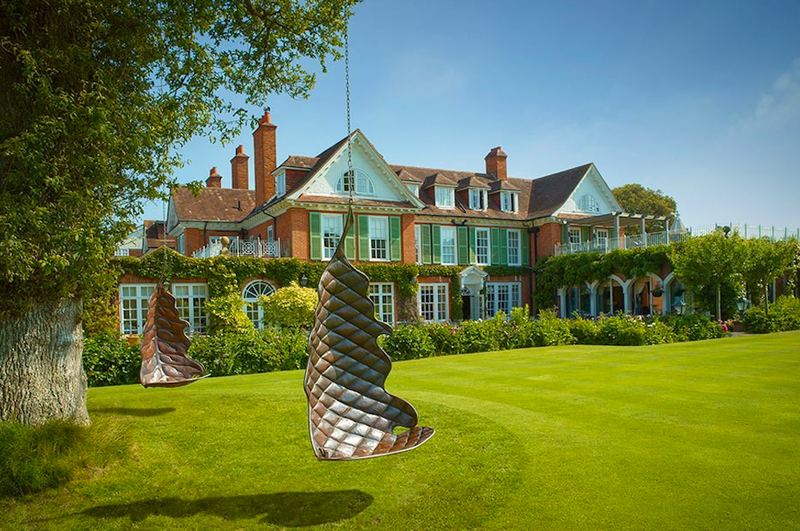 A relatively small hotel in terms with 72 rooms and suites (14 being luxury Treehouses), Chewton Glen is set in 130 acres of woodland, gardens and parkland, extending to the edge of the New Forest National Park and down to the Solent coastline (the beach is literally a couple of minutes jaunt away). Cue a Muddy skiddle down the M27 to see what the fuss is all about. 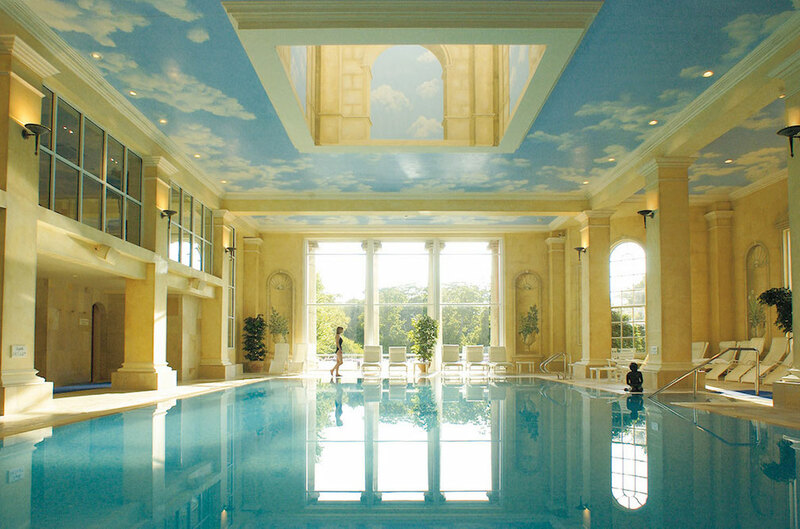 Chewton Glen was of the first of the ‘super spas’ to open in the UK, with 12 treatment rooms, a 17 metre indoor swimming pool, fitness room, dance studio, sauna and steam rooms, nail studio, hydrotherapy pool and hot tub, plus heated outdoor pool in summer. 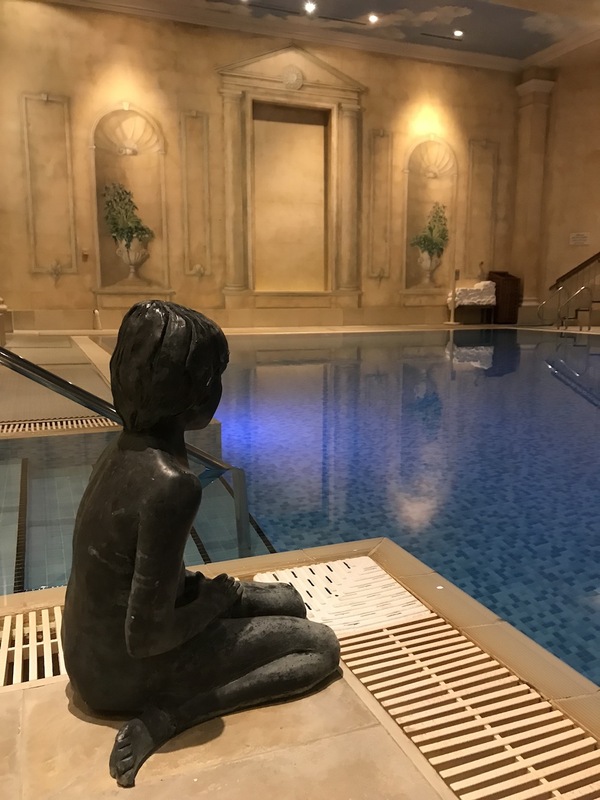 Unlike a purpose-built spa, Chewton Glen a higgledy piggledy charm – saunas in the changing room rather than near the pool; changing rooms up a floor from treatment rooms. But it didn’t win the Muddy Award 2018 for Best Day Spa for nothing – the treatments, attention to detail and service are excellent. My Back Recovery massage (£115 for 75 mins) in a attractively panelled and padded treatment room was perfectly pitched, and I loved floating down to the grand faux Palladian pool afterwards, complete with this striking poolside sculpture, to zone out with the glossy mags. Grand, cultured (there are sculptures literally everywhere), but remarkably unpretentious. 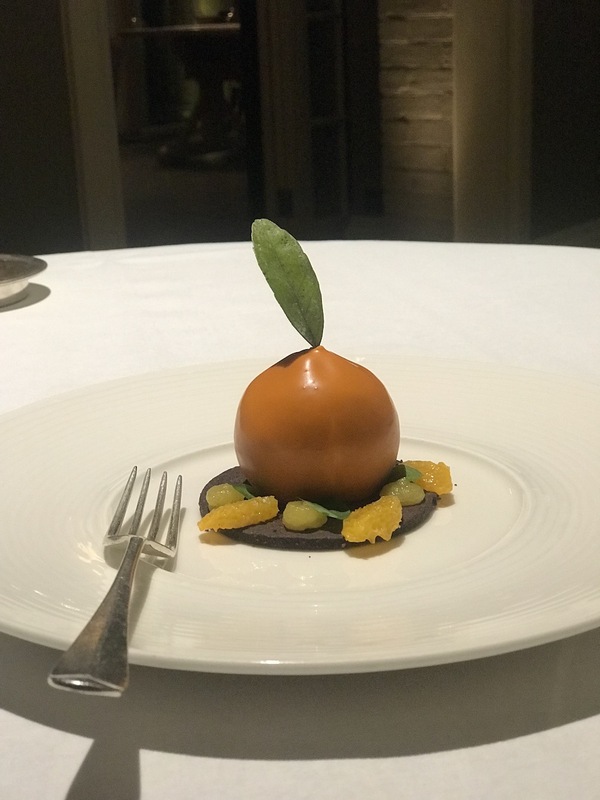 Chewton Glen clearly has a life beyond Hampshire-curious tourists with locals using the fitness and club facilities and the much-admired restaurant/cookery school. The Kitchen (opened in March 2017 with continued involvement from James Martin) is also a big local draw, open for non-guests for dining and offering everything from masterclasses to take away pizzas. 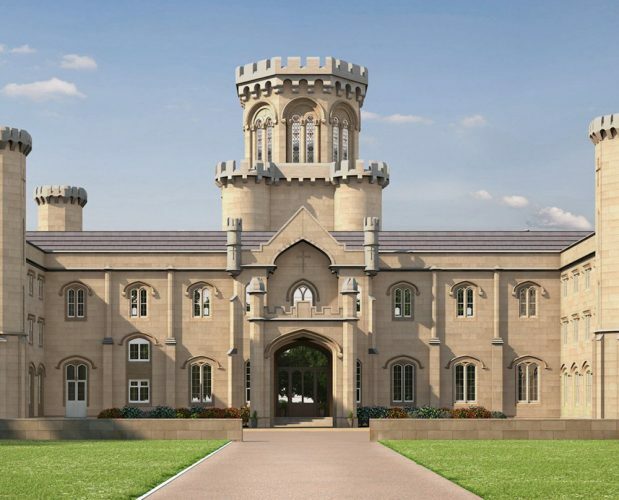 Rather like Stoke Park in Bucks that really earns its relaxed, family-friendly vibe, children here are properly welcomed rather than humoured. There’s a special kids menu in the restaurant, they can use the indoor swimming pool between 9-10.30am and 4-5.30pm, and all day in the heated outdoor pool from June – Oct. There’s a free kids club every weekend and during school holidays, plus activities like cooking on site at The Kitchen. 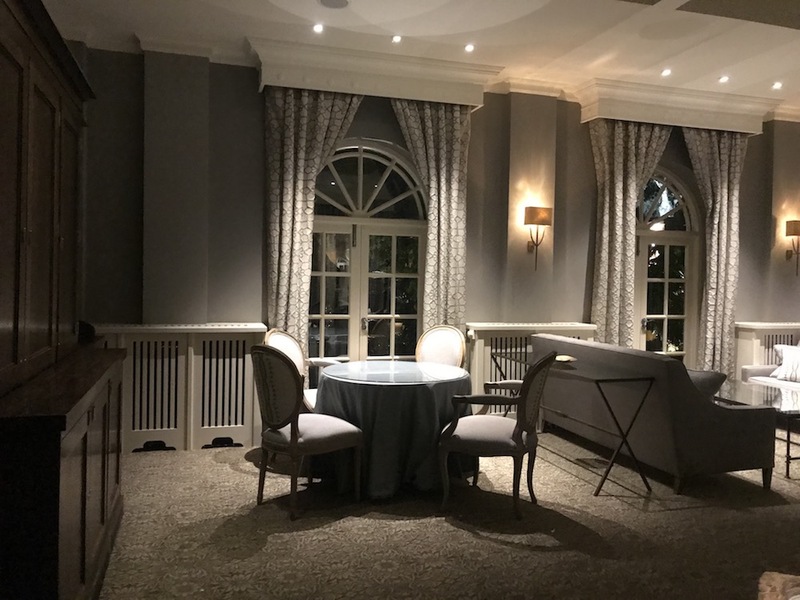 That gives the hotel its warm, unstuffy feel – don’t expect to find Chewton Glen full of old blokes in Jaguars (I can say this, my dad was one of them!). 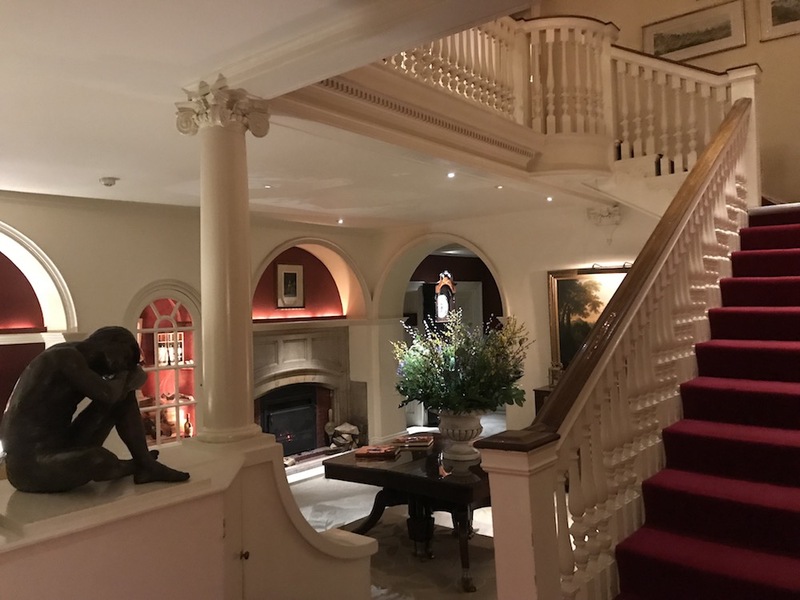 The benefit of staying in the main house is the convenience – just drop down to the bar (a fabulously lit, deep red cavern of potential decadence) or across for dinner. I, however, stayed in one of the 14 Treehouses which was, frankly, amaaaaazing. And let’s not beat around the bush here, expensive too – the Treehouses in particular will set you back from £950 a night so it’s special occasion stuff we’re talking here. I did a little impromptu vid here – it will give you a proper taster. My Treehouse was, in effect, a two bedroom apartment 35 feet up with huge balcony, views across woodland, my own outdoor spa with zippy changing lights, a bathroom bigger than my living room, and gorgeous living room with log burner and open plan kitchen. The second bedroom was up a very steep flight of stairs that probably wouldn’t suit under sixes but there are other Treehouse suites to accommodate younger children. Everything has been considered here. A bottle of Veuve Cliquot on ice greets you on arrival. 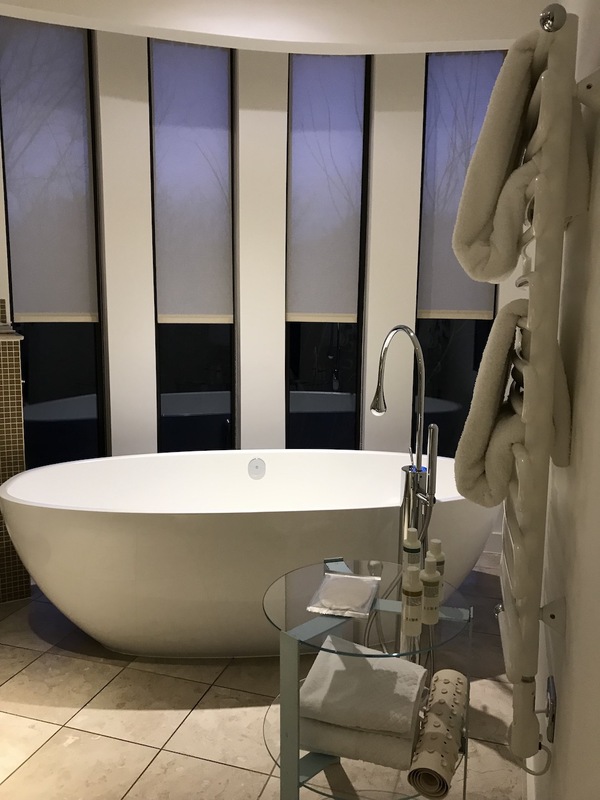 There are posh chocolates, miso nuts, bowls of fruit, gratis drinks in the fridge, and a fluffy robe with Chewton Glen insignia that almost begs you to wear it as you eye the freestanding bath. Hats off to the hotel, they’ve thought of everything. 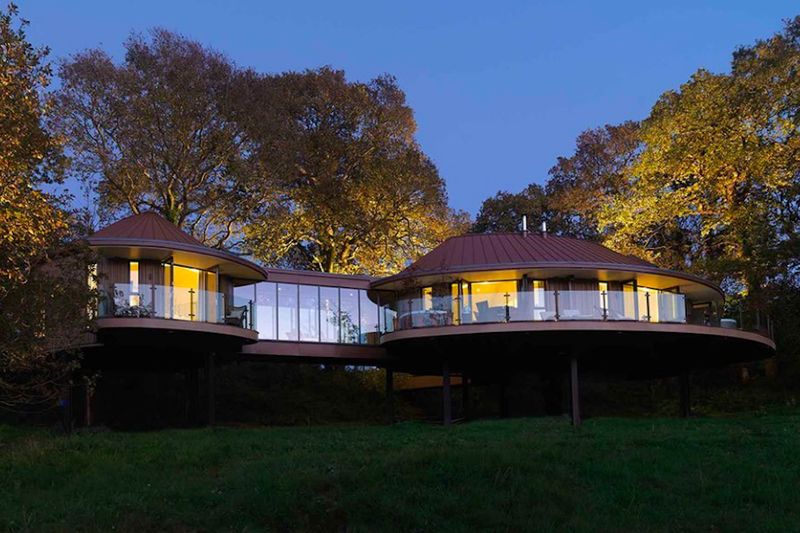 One thing to mention is that if you choose a Treehouse, you will either have to utilise your legs and walk 3 minutes to reach the main house, or organise a buggy pick-up. It’s a first world dilemma, I grant you, but you need to know it! The food – a highlight of my stay. Beautifully presented, impeccably served and the staff were absolutely lovely. I know they’re paid to be (! ), but it’s so easy for waiters to be either too obsequious or quietly indifferent. It’s surprising how rarely it’s pitched perfectly. 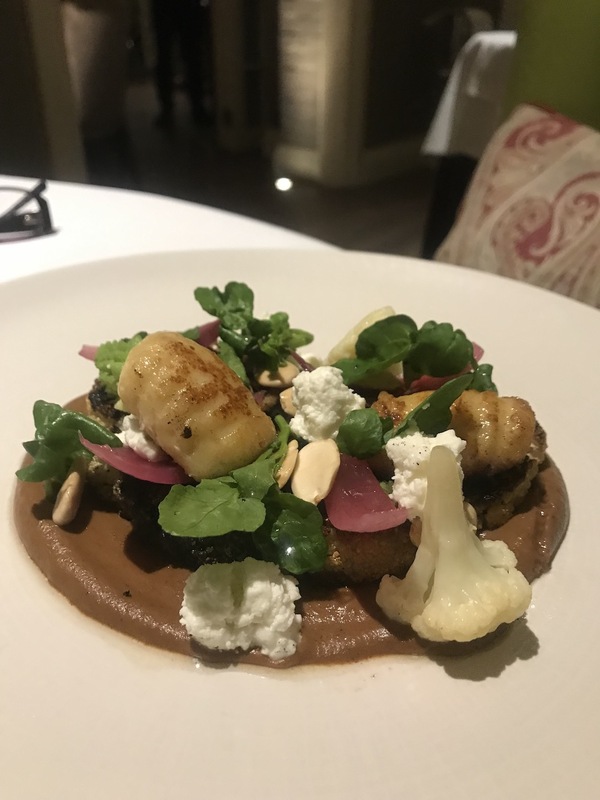 The food here speaks for itself – look at the presentation below – and if you’re into your wine as well as food, you’ll enjoy pondering the 1900-strong wine list. The main dining room is quite formal, though sitting in the banquette booths where me and my friend Robyn sat were pretty relaxed. 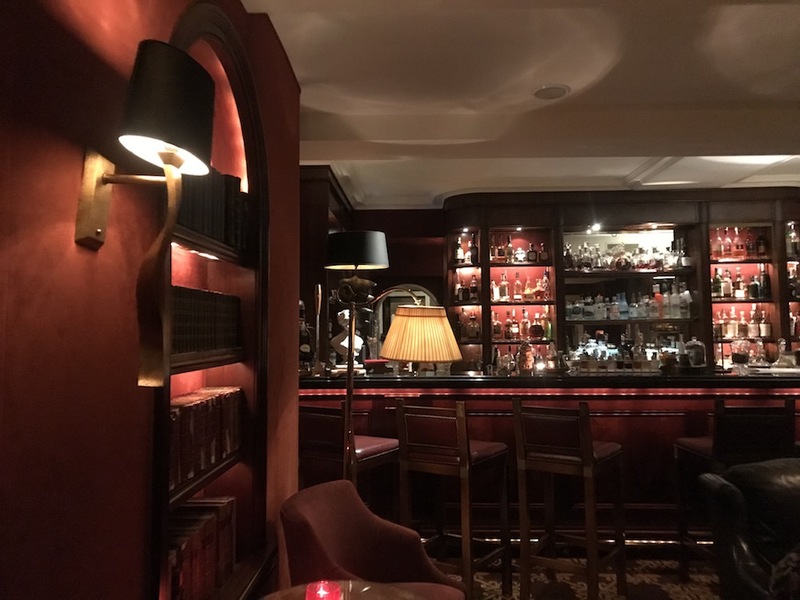 In the day it’s a bright, inviting space and there’s a children’s menu that goes from minute steak or chicken breast right down to the culinary depths eggy bread and beans on toast, underlining the lack of pretension here. Well, you’re right on the coast, so it’s walking, sailing, sunbathing and general nautical stuff ahoy. There’s a nearby marina if you want to charter a boat (or have someone ‘drive’ it for you). Close by you’ll find Highcliffe Castle, a Gothic revival mansion dating from 1836, with restored exteriors, plus tearoom and gardens. 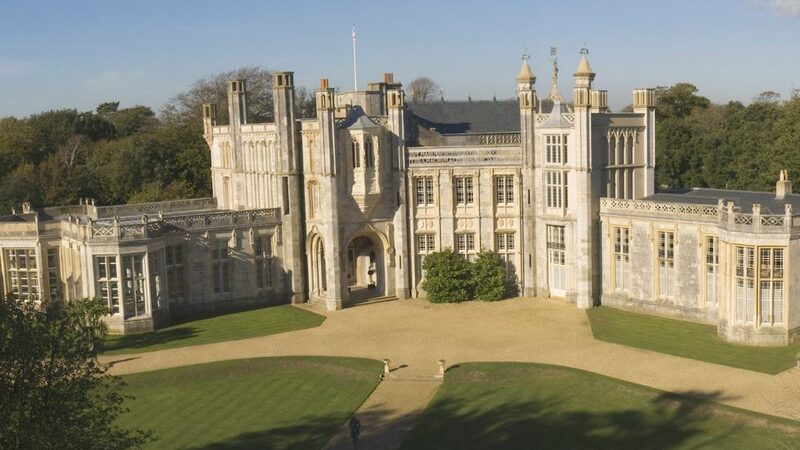 There’s the New Forest for biking and pony trekking, Marwell Zoo, Peppa Pig World and Monkey World for kids, Exbury Gardens and Mottisfont a National Trust run disestablished 13th-century abbey filled with historic interiors for grown ups. GOOD FOR: Pamper seekers. This is the place to hand over your car keys (not like that) and surrender to being looked after. Ideal for girls spa weekends, romantic trysters, and families. NOT FOR: Those without deep pockets – it’s a five star hotel remember! 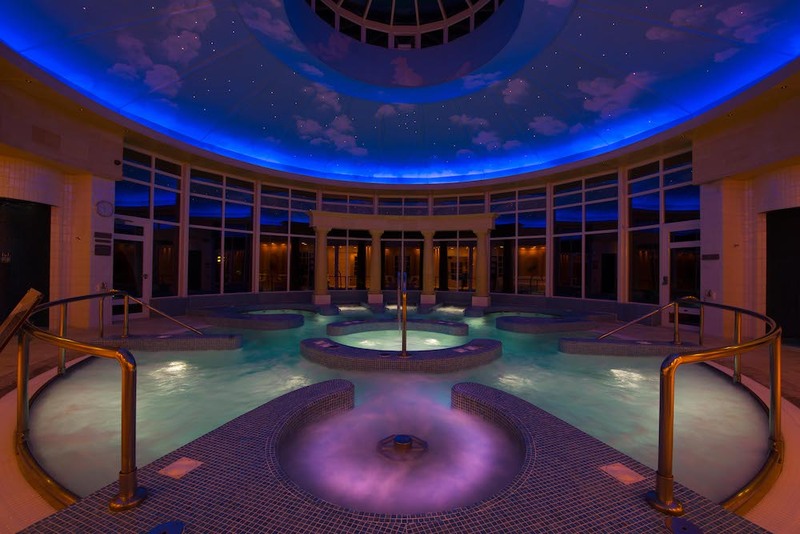 But the spa days are great value if you just want a taste of CG heaven – it’s £160 for the Signature Spa Day, with a 60 minute treatment, breakfast, buffet lunch and access to the fitness classes. 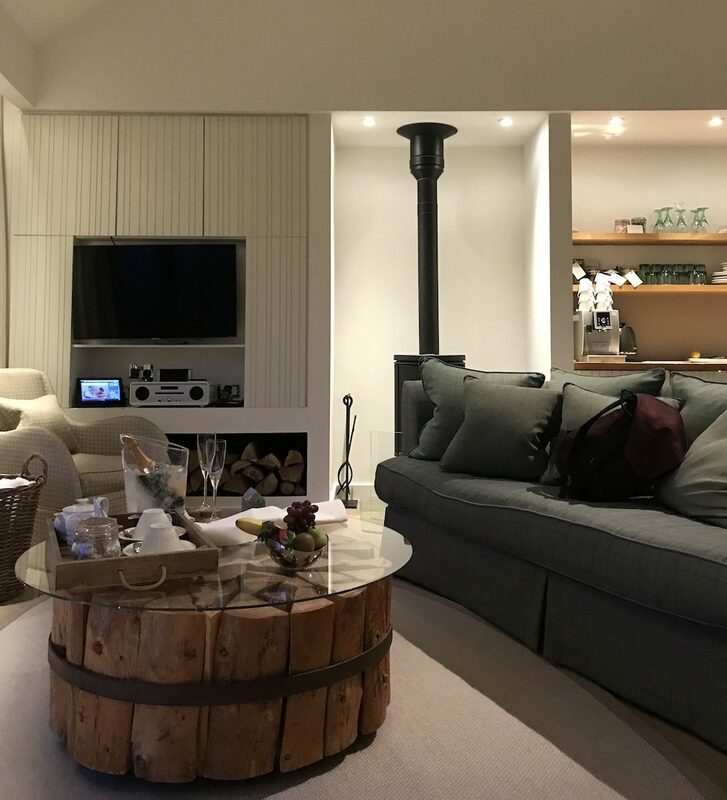 THE DAMAGE: Rooms from £325 for a Garden Room, Junior Suites start at £655, going up to £2850-£3000 per night for The Yews, their newest Treehouse which sleeps 4 adults and up to 8 children. Expect a la carte menu starters between £9-23, mains £30-45, side £4 and desserts £12. 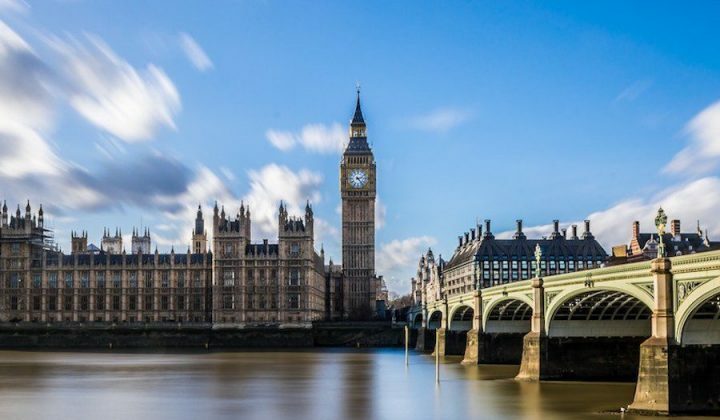 A comparative steal is the three course Sunday lunch at £39.50 and afternoon tea from £29.50. Children’s menus all under £12.50. 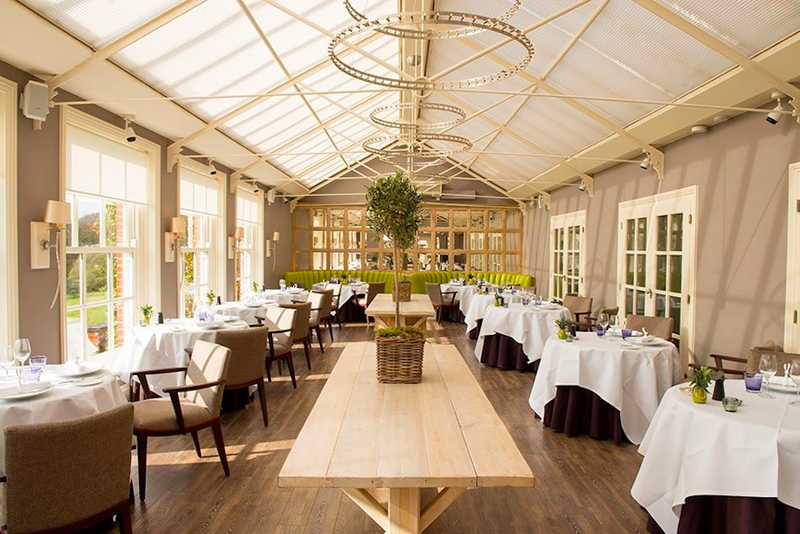 Chewton Glen Hotel & Spa, New Forest, Hampshire, England, BH25 6QS. 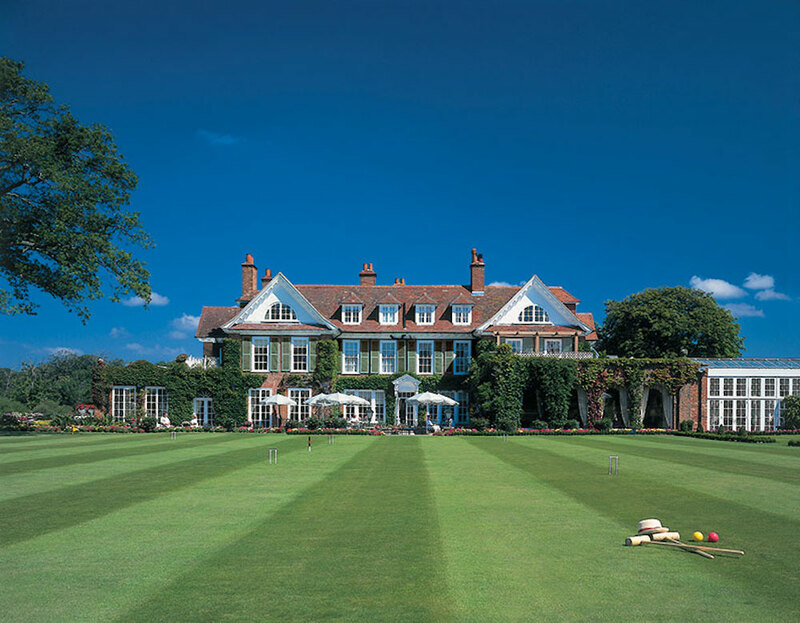 WANT TO WIN A STAY FOR 2 AT CHEWTON GLEN IN OUR NEW READER TREAT? I’M TALKING JUNIOR SUITE, DINNER AND BREAKFAST, PLUS FULL USE OF SPA AND FITNESS FACILITIES! ENTER HERE.